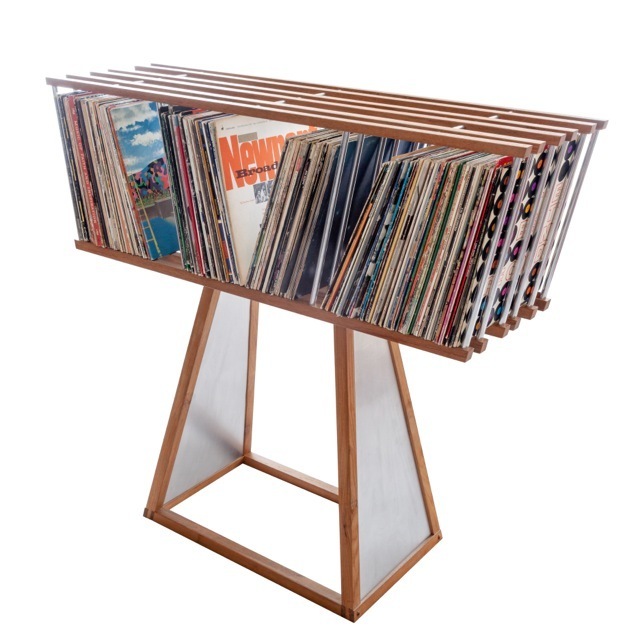 I designed LP Cabinet acknowledging that records want to fall over. Inspired by bridge design, much strength and rigidity comes from surprisingly little material. Nearly 200 records (or 150 lbs) are securely held in LP Cabinet which weighs barely 10 lbs empty. 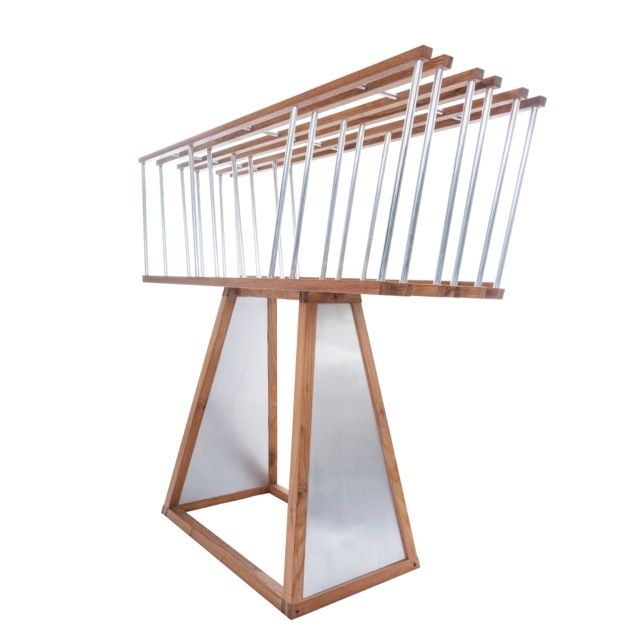 It is built of teak and aluminum, is about 3 feet high, 4 feet long and 1 foot deep.